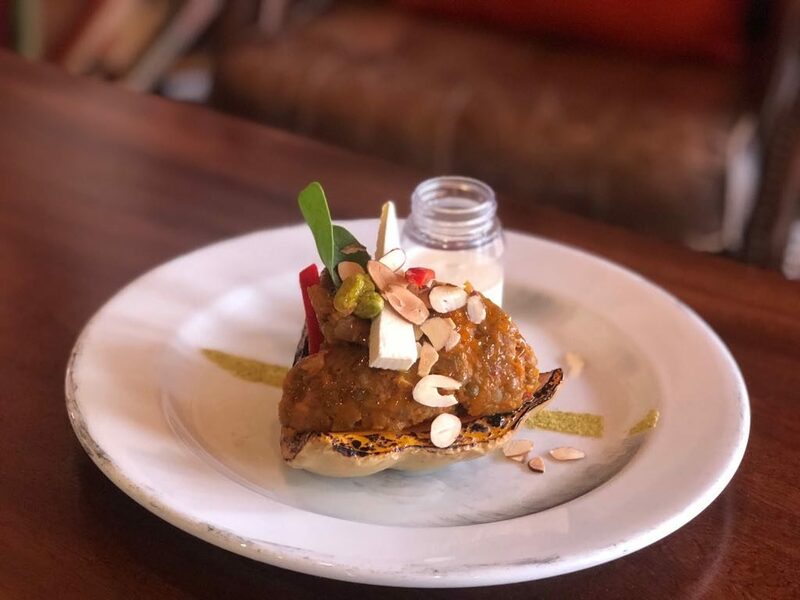 ﻿ Roasted Pumpkin with Moroccan Spiced Lentils - Pukeko Junction - I AM Co.
A firm favourite in North Canterbury is Pukeko Junction Café & Deli. A popular, buzzing, award winning destination café. The gourmet country styled food is all made in house, from the bread to the tarts, cakes, sauces and fresh salads. Tuck in and enjoy a hearty breakfast with local free-range eggs, generous lunches from the deli or afternoon tea. The Pukeko Junction Cafe & Deli is warm and inviting, with serious coffee, a log fire and lots of outdoor seating for those sunny Canterbury days. Sounds like the perfect place on a crisp spring day. 1. Place the whole pumpkin into a preheated oven and roast up to an hour at 180 deg Celsius or until tender. 2. While pumpkin is roasting sauté onion in a pan with a dash of oil. Add rest of the ingredients and simmer lightly. 3. Once the pumpkin is fully cooked, cut off the top & scoop out the seeds – be careful not to break the skin. Fill the pumpkin shell with the lentil mix and top with almonds. Makes a superb meal to cut at the dinner table. 458 Ashworths Road, Leithfield, North Canterbury.